Turnford Gymnastics Club was founded in 1973 by their current Chairperson, Linda Taylor, who from humble beginnings of a few members and 1 coach, has grown the club to a large coaching team and around 150 members. The club has enjoyed competitive success throughout the years at County, Regional and National level and train at Turnford School, Cheshunt. Catering for both boys and girls from the age of 3 upwards, they run pre-school, beginners, recreational and competitive classes. 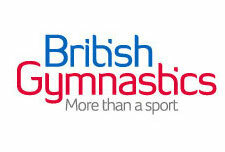 Beginners sessions cover the basic skills needed for further progression, and also give the opportunity for gymnasts to gain their BGA Proficiency Badges. Selection from these classes will see those gymnasts that show further ability go on to compete in Grading and Voluntary competitions. All gymnasts are fully encouraged to fulfill their potential no matter what their standard.